Your wardrobe saviour has been updated. 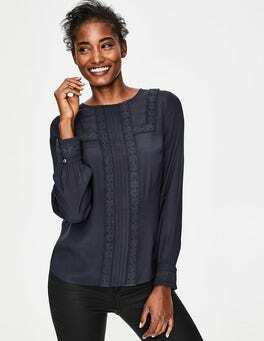 This classic crew jumper is still as soft, versatile and ultra-flattering as you remember, but we have added a pretty button cuff detail. Wear with a few buttons open to show off the internal contrast colour grosgrain. …an expert in Inner Mongolia, who only settles for long and silky fibres. The knitwear team then craft it into this sleek cropped cardigan, complete with stitch detail on the neck, cuffs and hem. So why not celebrate with one of our beautiful hues – all designed to perfectly complement our prints. 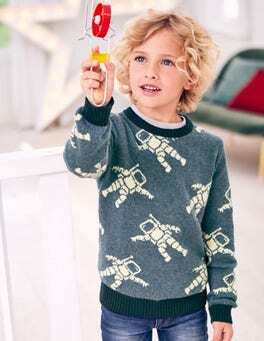 Budding racers will earn some serious stripes in our jumper. Ultra-soft fabric with a touch of Merino wool adds just the right amount of comfort for sports sessions. The bright contrasting print on the sleeves is easy for teammates to spot – perfect for optimum ball-time in kickabouts. Wide-leg trousers: where sharp meets relaxed and structure meets comfort. This pair might be understated, but with a hint of cashmere for softness and Milano stitch for texture, they've got hidden depths. 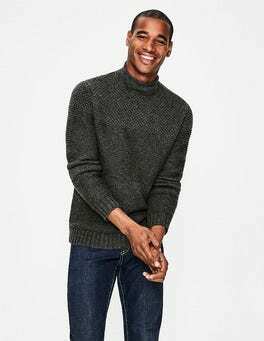 Match with our roll-neck jumper for no-worries nonchalance. …cosy on a wintery day trip? 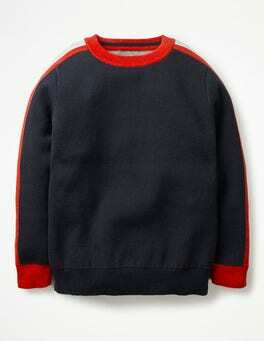 A: our colour-popping raglan jumper. 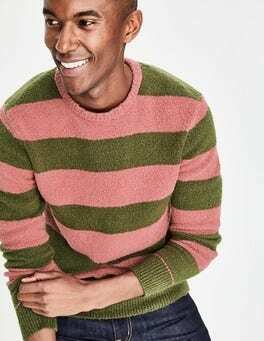 Combining contrasting sleeves with either stripes of sparkles, it's crafted from soft, comfortable wool and cotton mix. 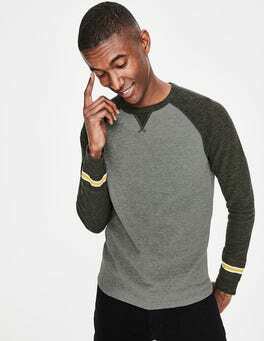 The crew neck is picked out in a different shade, and we've added a ribbed hem and cuffs to keep the chill out. 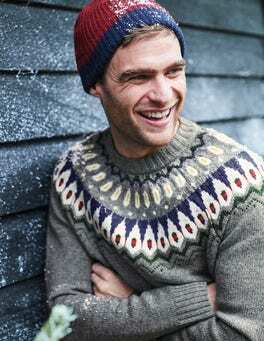 There's something so pleasing about the chunkiness of a proper cable knit jumper. You know you're in safe hands with a simple crew neck and a hint of alpaca softness. We've gone ahead and added longline swing too. For best results, layer this up and pair with a warm drink. …into your outfits with this necklace. This eye-catching accessory features suede tassels and multi-coloured jewels suspended on a grosgrain ribbon, which ties up in a bow for a custom fit. 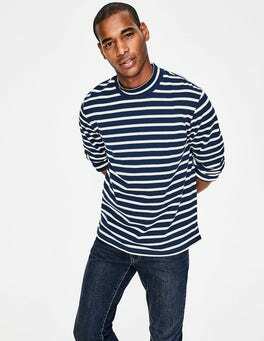 You can wear it long with crew necks, or style it shorter with plunging V-necks. Now, where's that RSVP card? …luxury AND comfort? Yes, it does exist. Just look at this velvet sweatshirt. Subtly elegant and oh-so soft (with added stretch for wearability), this is loungewear on a new level. 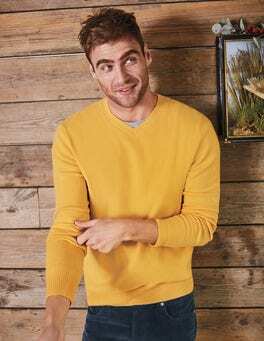 With a crew neck, raglan sleeves and a pop of colour at the cuffs, it’s what your weekend wardrobe has been waiting for. We firmly believe style and comfort should always go hand-in-hand. 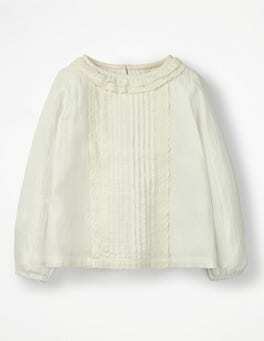 This knitted jumper has been given a feminine update with frill detailing on the scoop neck and cuffs. With a flattering fitted shape and long sleeves, you'll be cosy but look oh-so sophisticated. 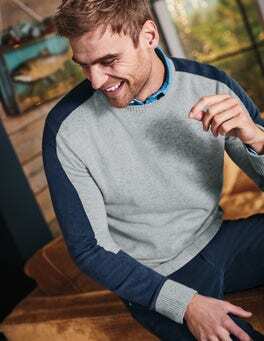 Turn up the contrast – with a colour-popping neckline, hem and cuffs, this jumper is one eye-catching knit. 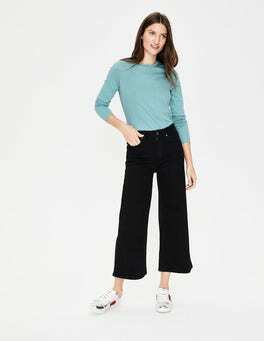 It has an easy-going semi-fitted shape that falls to mid-hip and the merino-cotton blend is incredibly soft and cosy. The ultimate combination of luxury, style and cosiness? This hoodie. Crafted from luxurious cashmere, it's supersoft but still chic. That means you'll be ready for anything: dashing out to run errands, meeting the new neighbours... Or pair it with the matching joggers for some well-deserved R&R. …is sure to brighten up your day. Ruffle detailing gives definition to the design – choose a cinched silhouette with the fabric belt, or remove it and leave the neck tie open for a more laid-back shape. The jersey material drapes beautifully to just below the knee and is finished with a curved hem. …from work to play? Here you go. Made from polyester, this fully lined shift keeps its flattering shape all day long. An in-house-designed pattern with pleats around the neck, hem and cuffs mean it's effortlessly chic. Keep the neck trim tied at the office before loosening it up for the cocktail bar. Comfortable? Check. Feminine? You got it. Stylish? Oh, yes. This swimsuit does it all (and then some). The halterneck, under-bust shelf and lightly padded cups provide support, while the added ruching flatters every curve. Embrace a retro look with the plunging V-neck. Go from beach to bar and back again in this lightweight linen kaftan. 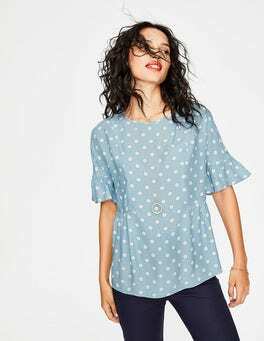 The notch neck and three-quarter-length sleeves are super flattering. Careful though... When your cover-up looks this good, it might steal all the attention from your bikini.